She’s Wired Digital Concierge Jan Suchomski bought the Sonos Beam - a smart, sound bar for your TV. The Sonos Playbar and Playbase have been on my personal wish list for over a year, and I’ve had the Beam on my radar since it was announced in mid-2018. I wanted enhanced sound from my TV for dialogue and overall sound. I already have a few Sonos Ones and wanted to expand my home system. I installed a Beam for a client recently and it pushed me over the edge – I was more impressed with the live sound than what I heard from the demo at a retail store. Great sound for smaller- and medium-size rooms at a reasonable price relative to other comparable sound bars. Functions as a TV sound bar and smart speaker. Built in optional Alexa voice integration with access to streaming music+ services, including Audible and Alexa enabled smart speaker functions. Part of the Sonos ecosystem – allowing expansion and integration with existing or future Sonos products. Aesthetics - Color options (black or white) and modern look. Setup requires Wi-Fi and using the Sonos app on your tablet or mobile device. While Alexa (voice integration) can be turned off, if it is enabled, it randomly responds to TV dialogue. Randomly meaning once every 4 to 6 hours of TV in my experience. If Wi-Fi drops in your home, you won’t be able to use music services and smart speaker functions. However, TV sound is not Wi-Fi dependent after initial setup. A wall mount is not included. 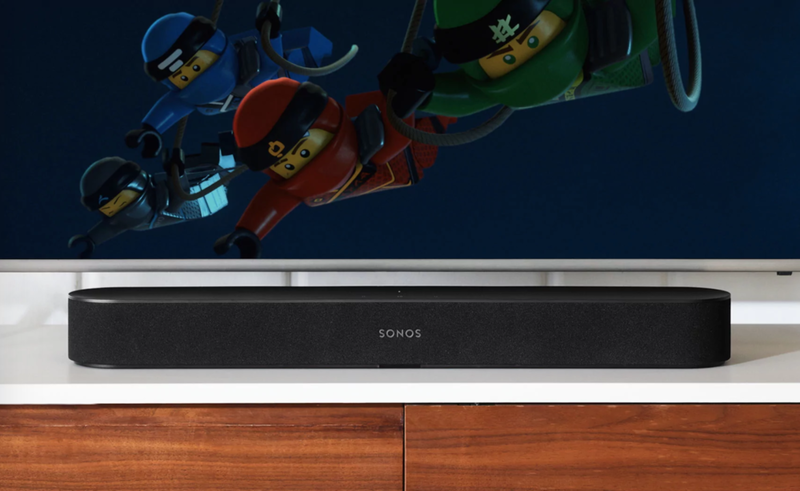 The Sonos Beam is a TV sound bar plus a smart speaker with impressive sound. If you've never considered a sound bar, you may not know what you’ve been missing. The Alexa integration, while still in its infancy, (meaning imperfect and evolving), is a bonus that you will likely find more useful over time. If you are interested in rekindling or expanding your love of sound, you will find the Sonos Beam a worthy companion. It costs $399.